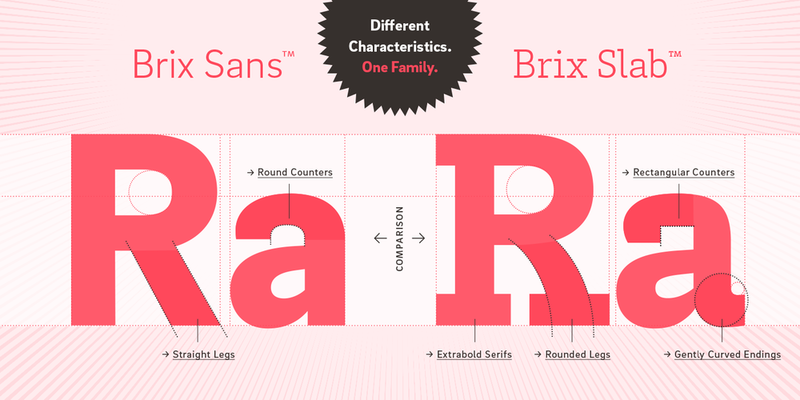 The sans serif companion of the well-known Brix Slab. Designed by Hannes von Döhren and Livius Dietzel in 2014. Published by HVD Fonts as part of the Brix Slab Super Family. 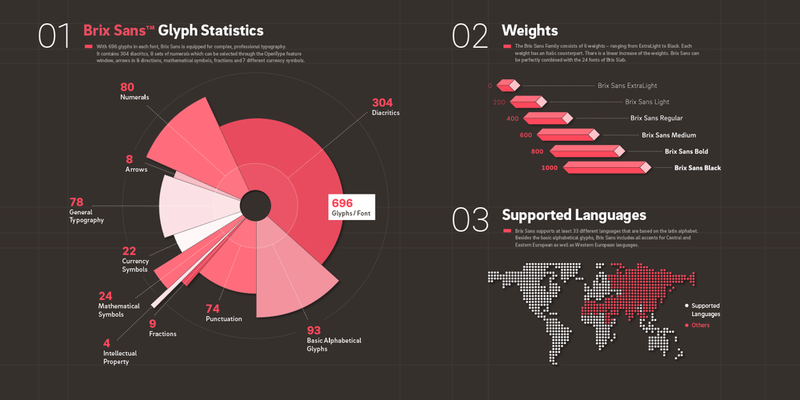 Brix Sans supports up to 97 different languages such as Spanish, English, Portuguese, Russian, German, French, Turkish, Italian, Polish, Ukrainian, Uzbek, Kurdish (Latin), Romanian, Dutch, Greek, Hungarian, Serbian (Cyrillic), Czech, Kazakh (Latin), Serbian (Latin), Bulgarian, Swedish, Belarusian (Cyrillic), Belarusian (Latin), Croatian, Finnish, Slovak, Danish, Lithuanian, Latvian, Slovenian, Irish, Estonian, Basque, Icelandic, and Luxembourgian in Latin, Cyrillic, Greek, and other scripts. 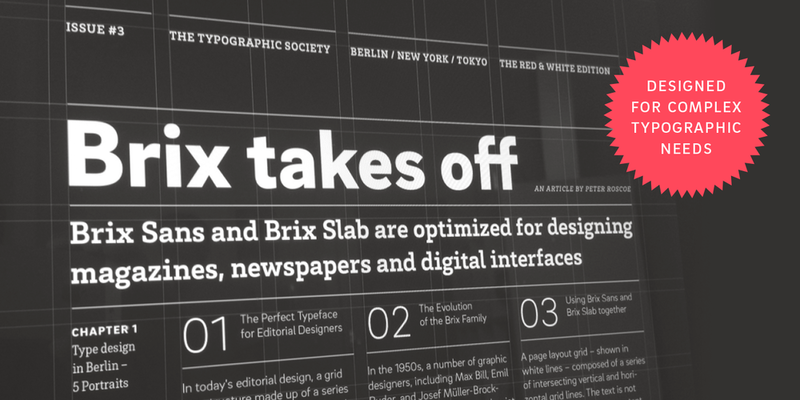 It took Hannes von Döhren and Livius Dietzel two years to develop and complete the Brix Sans family – the companion of the well-known Brix Slab. The approach was to design an independent type family following the rules of the Sans Serif genre, harmonizing with its older sister Brix Slab from the Slab Serif genre. The result is a family of 6 weights with matching italics, which works perfectly for corporate design and editorial design. Combined with Brix Slab, high and complex typographical challenges can be solved. 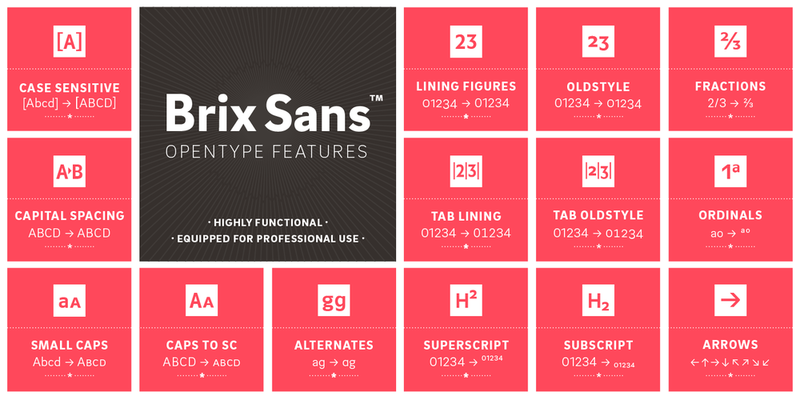 The Brix Sans OpenType fonts feature small caps, five variations of numerals, arrows and an extended character set to support Central and Eastern European as well as Western European languages.